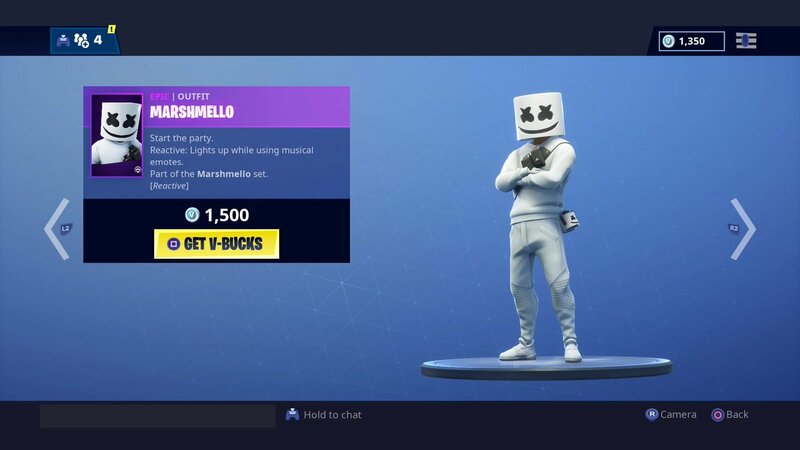 A bunch of new Marshmello-themed items and cosmetics have been added to Fortnite: Battle Royale. A skin, glider, and emote based on the American electronic music producer and DJ are now featured in Fortnite’s Item Shop. Earlier today, Epic Games added a new set of challenges called Showtime in preparation for Marshmello’s upcoming in-game event, Festivus. The first Showtime challenge asks players to find and interact with a Showtime Poster. Marshmello’s Festivus event is set to take place in Pleasant Park on Saturday, Feb. 2 at 1pm CT. To get ready for this event, check out everything we know about Festivus.